Understanding the decline in the number of female Governors. 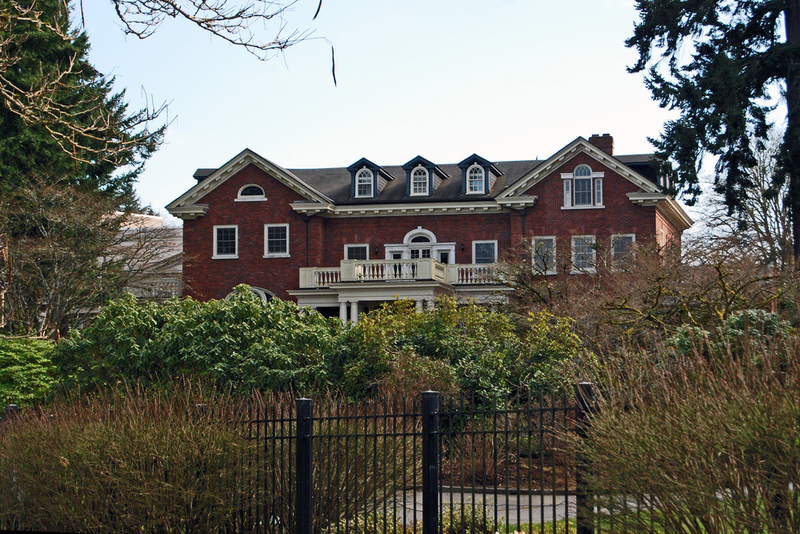 The Washington State Governor's Mansion in Olympia, WA. Photo by Harvey Barrison is licensed under CC BY 2.0. As of today, only 37 women have ever served as U.S. Governors, compared to more than 2,000 men. Tuesday night I had a chance to see two of them in Seattle: Former Governor of Washington Christine Gregoire (2005-2013) and former Governor of Oregon Barbara Roberts (1991-1995), in an event hosted by the Women's Funding Alliance. As I walked into the room and found a chair, I was excited to hear about the progress women have been making as governors. But also being a realist, I knew not to get my hopes too high—given that the number of women in other political offices, such as congress, has been increasing at a pace so slow it hardly seems to be moving at all. The percentage of female governors must be at least increasing at that snail’s pace, right? RIGHT? My naïve hopes were dashed right off the bat. It turns out that female representation in governorships hasn’t just flatlined—it’s actually fallen in recent years. The record stands at 9 women simultaneously serving as governor (in both 2004 and 2009), which has dropped to the 6 women currently serving. Put another way, only about 11% of our current governors are female, which is 33% less than 12 years ago. Those stats aren’t great. At all. What is going on? Why aren’t there more women in the mansion? Women in or running for public office increasingly face harassment, outright sexist language, and threats. A local example of this was seen recently with the misogynistic backlash that the female Seattle City Council members received (as Samantha Bee hilariously explains below). Women are more reluctant than men to put their family through the stress of campaigning. Running for office can be extremely tough not only on the candidate, but also on their family. As Gov. Gregoire stated: “It is easier to be the candidate and have these lies told about you than it is to be the loved one of the candidate. And women I think really struggle with ‘I don’t want to put my family through the ugliness of a campaign, the expected lies and comments and remarks that will be made.’” It’s one thing to take abuse yourself, it’s another thing to make your family face that, and women seem to be less willing to ask their family to go through it. A third piece of the puzzle is understanding the mental barriers a woman has to overcome to believe that she is capable of leadership. Our culture conditions us all—men and women alike—to believe that men are more capable leaders. This is reflected in the fact that a woman must be asked many times to run for public office before she actually will. It takes a lot of work to recognize that internalized bias, and then to overcome it. Gov. Gregoire shared the story of how her daughter thought she wasn’t qualified to run for Port Commissioner—until she looked at the resumes of the current commissioner and realized she was possibly the most qualified. Multiple times throughout the evening, both Governors emphasized the need for women to believe in themselves. As part of the solution, Gov. Roberts called for more documentation of women in leadership roles, because “if you can’t see it, you can’t be it.” She then proceeded to whip out a copy of her autobiography from behind her chair, with a grin. And last time I checked, our nation wasn’t 89% male.